Blog New T-Mobile: Lower Prices and Better Service. Period. I’ve been publishing blogs over the last few weeks to keep everyone updated on the value of our proposed merger with Sprint, and it’s that time again! So far I have shared the path to the New T-Mobile, talked about our plan to deliver #5GForAll and shared how serious we are about disrupting the in-home internet game to the benefit of our customers. Most recently I had the very important opportunity to testify in front of some members of Congress and speak with them about why this merger is so different than any other. This time I want to talk about price, quality and service. This is a conversation that Verizon and AT&T would rather not have. It’s an even tougher topic for the Big Cable guys. These guys LOVE the status quo. They don’t have a great track record – just look at what they are doing with prices! Last week Verizon finally announced that they’re going to raise prices another $10 a month for their 5G, which will be limited to a few square blocks in a few cities…this isn’t the promise of 5G! These guys never miss a chance to squeeze more money from their customers. Don’t forget that this new speed-tax is on top of continually increasing upgrade fees, higher rate plans and new charges on unlimited data… all over the last couple of years. It’s ridiculous! AT&T is equally shameless. Ask a DirecTV subscriber about their sudden price hikes. They didn’t even take care of their current subscribers! Just 30 days’ notice to their customers about a big fat price increase of $120 a year for everyone! And, don’t forget that AT&T ALREADY raised prices on DirecTV subscribers less than a year ago – hiking each bundle by $5 a month – while giving customers NO new additional channels! Comcast, Charter, DISH and Altice are no better! Price hike after price hike after price hike… The story is honestly getting REALLY old. They all continue to nickel and dime customers with no care in the world… and no end in sight. There is no doubt that T-Mobile has already started to upend US wireless. Each Un-carrier move – from unleashing unlimited data, to simplifying rate plans and launching our Team of Experts customer service model – has been about solving a pain point for consumers! And, as a result, we’ve forced a lot of change from our competitors across an arrogant and tired industry. The fact is though, that with AT&T and Verizon now controlling almost 70% of the market share for US wireless and 94% of the free cash flow, they only have to do so much to respond to us! They need a true competitor that will REALLY make them change – for good. That competitor is the New T-Mobile. 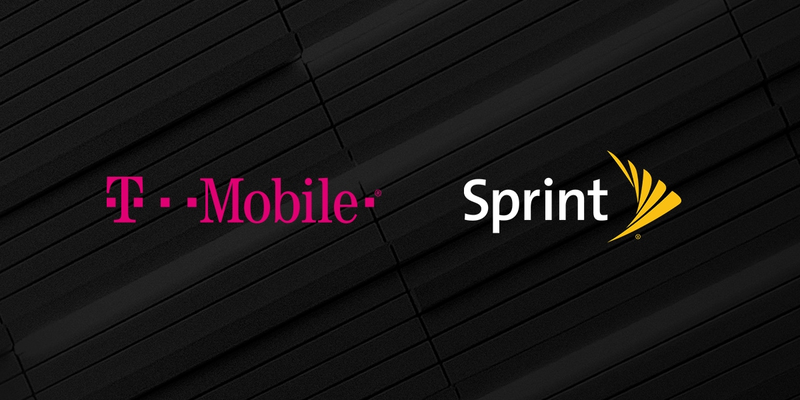 The combination of T-Mobile and Sprint will make wireless and in-home broadband MUCH more competitive because we will finally have the scale and capacity to challenge the entrenched Big Guys like never before and break into new opportunities to benefit consumers! We’ve already been kicking their butts in what has been a pretty unfair fight to date… imagine what we will do when the playing field is better balanced… and boy do they know it! That’s why they don’t want this deal to happen. AT&T, Verizon and Big Cable would clearly keep things the way they are. They love having dominant market share and controlling the lion’s share of the free cash flow to line shareholder pockets. Why wouldn’t they? The status quo works well for them to continue raising rates on consumers and dominating various markets like big and small business segments. Force Competition. Get More. Pay Less. Go! With the scale that New T-Mobile will have, we will finally get to force AT&T, Verizon and Comcast to actually take care of their customers with action – not just lip service – and we will bring all sorts of goodness to American consumers. I’ve said it before and I’ll say it again – with the New T-Mobile, prices are GOING DOWN. Our merger will help ensure that American consumers will get more and pay less than they do now. Critics – many of them secretly sponsored by behind the scenes players who have strong business interests in seeing this transaction stopped – have argued that we are going to raise rates right after the merger closes. That’s pure fiction. Here is a fact: Customers on the New T-Mobile’s enhanced network will pay the same or less than they do today. Another fact? Lower prices will mean even more people will make the switch. Third fact? This has our competitors scared. Here’s how it works. The New T-Mobile will put the Un-carrier you know today into overdrive and create a supercharged competitor to challenge the status quo. With the New T-Mobile’s nearly $40B investment in our nationwide 5G network and services, we will deliver a massively enhanced network with 8x the capacity in 2024 compared to standalone T-Mobile plus Sprint today. This is what gives us the incentive to reduce prices. The lowered cost of delivering data means that we’ll need to take market share and ‘fill up the network’ with new customers. This translates into lower prices for customers. Customers will get more for what they pay – across ALL our brands – and network improvements like 5G will be included to our customers at no extra cost (pay attention Verizon!). With the huge increase in capacity in our network we will have to keep prices as low as possible to attract new customers. It’s that simple. We’ve even committed in writing to offer the same or better rate plans for three years. Why three years? We expect it will take us about that long to build our new combined 5G network – a network that will absolutely change the industry as we know it. Once we’re nationwide with true 5G, that’s when our cost savings for consumers will really take off. The full 5G network with all of its fast speed and extra capacity will be open for business and ready for even more users who use even more data! Oh, one more thing. If you’re an AT&T or Verizon customer who doesn’t make the jump over to the New T-Mobile (what?! ), you will still see benefits. According to a world –renowned economist, the New T-Mobile 5G network will provoke competitive responses from AT&T and Verizon that will result in as much as a 55% decrease in the price of a GB and a 120% increase in mobile data supply for all wireless customers. Now THAT is how you really fix this broken industry! Let me be clear here – again! Raising prices is not part of the New T-Mobile plan. We work very hard to earn our customers’ loyalty and that will never change. Frankly, breaking our promise to customers would be catastrophic for us – and it’s simply bad business. Our business plan and our future success is centered around building a world class 5G network for everyone and delivering more to consumers for less. This commitment didn’t come out of left field only to help us win approval for our transaction. This commitment is core to our disruptive Un-carrier strategy and integral to creating a supercharged Un-carrier in the New T-Mobile that will attract more and more customers. Doing anything other than this would be destructive to the brand that we have worked so hard to build! Some say none of this is enforceable. Well, we’ve said all of this in writing, in sworn testimony to Congress and in official declarations to the FCC. Among the millions of pages we have submitted to the FCC and DOJ are three comprehensive economic studies that support our plans for reducing prices, as well as a separate filing submitted to the FCC that explicitly reaffirms our commitment. Not only can we not back away from that – why would we? Compare ALL of that to the opposition groups that are defending the current broken system and literally making up numbers out of thin air… all in a desperate attempt to create worry and uncertainty. Talk about a lack of credibility and questionable motives. We will live up to our commitments. Those who oppose this merger support a market that is dominated by AT&T and Verizon and think the status quo is working for Americans. We know they’re wrong. We aren’t satisfied with the status quo – never have been. Here’s a simple way to think about this. Do you want lower prices for your wireless service? How about real choice and real competition for in-home broadband service? Are you one of millions of rural Americans who have no high-speed service or only one choice available? Do you want to benefit from the first true nationwide broad and deep 5G network? If you answered YES, you want this merger to happen. The Un-carrier was built on putting customers first. We will not change the DNA of this company, even if we could. My leadership team and I believe in delivering on our promises – and we’ve done just that for years. We are just getting started.